Station Hollywood: Jagjit Singh's compositions soothen's the mind. Jagjit Singh’s excellent compositions will remain immortal forever. The listeners of music all over the world wish happy birth anniversary to Ghazal Maestro Jagjit Singh on 8th February, 2016. Listeners of ghazals remember the king of ghazals Jagjit Singh on 10th October every year. Ghazal King Jagjit Singh passed away on 10th October, 2011. In respect of his excellent ghazals his listeners have remained speechless. His voice had been used to heal sadness and sickness. He had been the only singer who had composed and sung songs on the poetry of legendary Prime Minister Atal Bihari Vajpayee titled “Nayidisha” in 1999 and “Samvedna” in 2002. 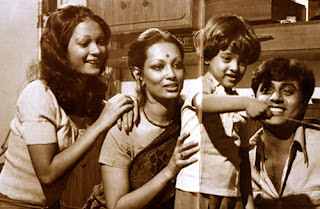 Along with his wife Chitra Singh, he was the first Indian composer to have used digital multi-track recording for the album “Beyond Time” in 1987. His original name was Jagpreet Singh. He learned khayal, dhrupad, thumri from Ustaad Jamaal Khan. His album “The unforgetables” in 1976, mesmerized the audience. His baritone voice made everyone enchanted. He departed from classical ghazals to a more refined romantic rendition, by keeping the soul of the lyrics intact. He created a different gharana, a bit different from the other legends of ghazals like Mehedi Hassan, Talat Mehmood, Mohammad Rafi, Noor Jahan, Begum Akhtar, etc. His compositions in the duet albums “Ecstasies”, “A Sound Affair”, “Passions”, with Chitra Singh were unparallel. Jagjit Singh’s excellent bass was balanced by Chitra Singh’s high notes in most of the ghazals. Duet ghazals like”duniya jise kehte hai jadoo ka khilouna hai”, “kaun keheta hai muhobbat ka zuban hoti hai”, etc., will remain immortal for ever. After the death of his son Vivek at the age of 21 years, Chitra Singh left singing. But Jagjit Singh’s later albums were full of pathos, but the excellent lyrics of the shayar’s or poets or given adequate expression by the legendary Ghazal King. The titles of his music albums were also thoughtful including Hope, Insight, Mirage, Kahkashan (Galaxy), etc., to name a few. Jagjit Singh probably had sung with the best poets of the country in the 80s and 90s including Nida Fazli, Qateel Shifai, Firaq Gorakhpuri, Sudarshaan Fakir, Zaka Siddiqi, Nazir Bakri, Faiz Ratlami and others. It required huge talent and innovation to do justice to the thoughtful words shown in the poem. In whichever field of music Jagjit Singh had ventured he had struck gold, whether his albums in bhajans or gurbani. Jagjit Singh enriched hindi film music with his excellent compositions in the film Saath Saath and others. His film songs like “tumko dekha to ye khayal aya”, “tum itna jo muskura rahi ho”, “hoton se chulo tum” had remained historical masterpieces. His songs in TV Serial Mirza Ghalib had enchanted numerous listeners. A Padmabhushan being awarded to the musical maestro was not enough to reward his brilliance. One article is too small to highlight his achievements. His immortal works should be preserved and restored.